Poolesville Presbyterian Church (PPC) was founded in 1847, in an agrarian community situated near the Potomac river. It’s small now, with roughly fifty in worship and eighty on the membership rolls. It’s always been small, with membership fluctuating between 50 and 90 for most of its 160-plus years of existence. The building is a rumpled, comfortable, and historic red-brick sanctuary that feels full with sixty in attendance, and is a vital part of the identity of the church. Members know and value the historic character of the church. As a Presbyterian church in Poolesville during the “War of Northern Aggression” and where 11,000 Union troops were positioned to 1) protect a nearby Potomac ford and 2) suppress the locals, it wasn’t in step with the broader community. In the nineteen-thirties and forties, the area continued to be rural. As the fortunes of the agrarian town faded with the advent of industrial agriculture and the closing of the C&O Canal, PPC waned in membership, finally closing down in the 1950s. With the growth in population in the Washington, DC area in the 1960s and 1970s, Poolesville began to expand, as developments within the town limits made it increasingly a distant bedroom exurb for DC commuters. The church restarted, and currently has roughly the same membership it did in 1891. It remains small, but comfortable in its own skin as a stable multigenerational community. In reviewing the culture influences on PPC, there are several key influences on the flavor of the community. Three that seem to have significant influence are region, class, and generation. The region in which the congregation is physically located is the Western Upper Montgomery County Agricultural Reserve, a location which has a distinct and unique identity. Montgomery County is a large, wealthy, and primarily suburban/exurban county to the north of Washington DC. To combat suburban sprawl, the county set aside 93,000 acres in the north for agricultural purposes, explicitly delimiting growth. Approaching Poolesville from the Washington area, one must travel for miles on country two lane roads, passing farms and fields and forested areas. Poolesville itself appears to be a very small town, one not too far removed from its 17th century agrarian roots. That appearance is an illusion. Within the Poolesville town limits, growth over the last 25 years has been exponential. Hidden away on both the eastern and western sides of the community are substantial developments, which have pushed the population of the township from under 500 in the early 1970s to close to 6,000 today. The population of Poolesville is now largely reflective of the major metropolitan area that it orbits. This reflectivity of regional values runs strongly through PPC. The influences of the regional culture...an odd admixture of a slower-paced rural ethos and the more driven, educated and hard-charging urban ethos...are in evidence in the membership and energy of the community. Many members are (or were) civil servants, teachers, state department workers, contractors, or otherwise involved in the culture of the area. While the church might present as a small and slightly rumpled country congregation, the actual dynamics of the community are more subtly shaped by the peculiarities of being both separate from an “inside the Beltway” mentality and shaped by it. Within the life of the community, this manifests itself in the shared assumption that things will get done...but in their own time. Meetings run on what is articulated as “Poolesville time,” meaning they start just a tiny bit late. That means not so late that it impacts the overall schedule, but late enough that there’s flex for everyone to arrive. Bureaucratic and structural precision are something that you do...but only when you get around to it. This regional influence has a strong impact on the class dynamics at play in the community. Poolesville has a mix of social classes, but the strongest current influence is the cultural expectation of the upper middle class. While there are townhome communities which would permit access for lower income families, homes in the substantial developments that now comprise the majority of residential Poolesville typically are sold from $600,000 and above, meaning the residents of those homes are dual-income and educated. Demographic analyses of the community using MissionInsite confirm this assessment. The congregation itself reflects the dominant class dynamics of the surrounding community. Members are upper level civil servants, dual-income families of teachers, consultants, tech professionals, and professors. While not wealthy in terms of the broader society, they are well-educated and generally financially stable, two key features of that sub-class. Interests in education, stability and family are strongly present in the community, as is interest in engaging with service-work charities and social movements, such as environmentalism. Within the community, the orientation of the middle/upper-middle class towards service and social engagement helps shape a strong shared assumption within the church. Participation in and engagement with local direct service charities is a fundamental assumption within the life of PPC. Members spontaneously self-organize food drives for Western Upper Montgomery County Help, participate in service programs like Rebuilding Together, and volunteer monthly as staff for a local interfaith food bank. Service is a baseline norm. The third of the cultural streams at play at PPC is generation. Here, the congregation reflects the interests of a mix of generational actors. It is a blended community generationally, with active participation across a range of ages. PPC was re-founded by Greatest Generation members when it re-opened in the late 1950s, but also contains a mix of Boomers, GenX, and GenY members. This cross-generational dynamic is reflected in the blend of traditional worship with an interest in the application of technology through the use of multimedia, an active and dynamically updated website, and social media presence. Podcasts and blogs and Facebook updates mingle with the traditional hymns, as the community expects to be both simultaneously traditional and engaged with current bleeding-edge technology, a value set that might seem to stand in tension but end up coexisting well together. Overarching these more local influences are the influences of the broader American culture. Of the plethora of often contradictory themes within our society, two seem clearly manifest within the life of this little community: pluralistic tolerance and an egalitarian approach to leadership. One feature is the assumption of pluralistic tolerance within a democratic republic. The idea of individual liberty and forbearance towards the different is a basic norm within our society. While this may stand in tension with the forces that move towards political polarization and isolation, it is still a strong feature of our ideal society. This feature flows through PPC. The socio-political makeup of the congregation is remarkably diverse, as is the range of variant theological assumptions. Church members are not easily typified as either Republican or Democrat. There are progressive and conservatives. There are avid peace-and-justice types, and multiple tour of duty combat veterans. Those individual differences seem, for the most part, to be something viewed as adding character to the community. That there are differences of perspective is understood from that feature of our culture as a strength, one that mirrors our broader cultural assumptions about the rights and nature of the individual balanced with our duty to live together peaceably. Another key feature of the broader American culture is the assumption of an egalitarian system, in which all are “created equal.” Whether this espoused value is visible in our cultural artifacts is another matter, but it remains a stated value within our society. This feature is manifest at PPC, in ways that are arguably more healthy than the culture. As a small Presbyterian congregation, the formal structures and decisionmaking processes of the Session and the individuals who have formal roles and responsibilities are respected. We do things decently and in order, after all. But within the community, the “power distance” between those in formal leadership and others is not viewed as substantial. As a significant portion of this small community church has at one point or another served in formal leadership, the “Session” is not a distant or unfamiliar entity. That lends itself to an egalitarian approach to much of the life of the church. While PPC sees between 45 and 50 individuals in worship, the dynamics of what in the Alban Institute’s church typology would either be a small Pastoral sized congregation or a large Family sized congregation have been shaped by nearly 150 years of half-time supply pastors. The high-power-distance matriarch/patriarch dynamics that are often present in a smaller community simply are not in evidence. Instead, there is a rotating cadre of lay leadership that feels substantially empowered and simultaneously accountable to one another. The shared assumption at play is that each and every member of the congregation has access to and the potential to engage in leadership if they so desire. Utilizing the Thompson “Swamp” methodology for assessing cultural dynamics in a congregation, PPC manifests numerous visible artifacts that comprise the visible “stuff” of community life. Some of these artifacts reflect the values or active “sayings” within the church, showing alignment between the publicly articulated values and the observable reality. In other instances, the espoused values and the artifacts are dissonant, indicating an unspoken shared assumption that is “submerged” in the dank miasma of the communal subconscious. One clear defining focal point of the community is the sanctuary. PPC’s worship space is a humble 1847 brick building, with a distinctive stepped front brick facade and a small entry vestibule. Each side wall has three windows, of which one is stained glass. A center aisle separates two rows of padded pews that sit seven deep. Two sets of stairs weave tightly up to a pair of balconies that each comfortably sit twelve individuals. Two banners decorate the sides of the sanctuary, one a PC(USA) logo and the other an American flag which was carried on a helicopter mission in Afghanistan with a National Guard member of the church. A wooden crosspiece between the two balconies supports a projector and microphones for audio recording. Although it exists virtually, the congregation’s web presence is also relatively longstanding artifact. While it lacks some of the more complex design elements that can be found on the online presences of program and corporate churches, it is surprisingly sophisticated and well-maintained for a small congregation in a small town. An array of pull down menus allow relatively easy access to congregational mission and vision, schedules for congregational activities and classes, sermon podcasts, activities at the “Connection Cafe,” an internet training and resource ministry sponsored by the community, details about the recently founded community garden, and a range of links of interest. Although PPC is the smallest of the five oldline congregations that represent Poolesville’s congregational ecology, it was the first to have a web presence, and the regular updating and maintenance of that site means that the congregation features prominently on search engines when “Poolesville” is entered. It is, perhaps as significantly as the sanctuary, the most externally visible feature of community. Looking out across the sanctuary on any given Sunday, the sanctuary typically sits at sixty to seventy percent of comfortable capacity at 10:15 AM. The lower level is not packed, but feels comfortably full. A handful of souls may have made their way up to the balconies via the slender staircases. In 2009, a second worship was added, dividing the services between 11:00 AM. and 9:30 AM. The two services were essentially identical liturgically, and after several years of seeing if this would add to either growth or community dynamism, the church returned to a single worship in 2014. Reviewing the PC(USA)’s dataset on PPC’s recent history, the past 10 years show a worship attendance pattern that shows remarkably little variance. While there is annual fluctuation, the community seems settled in at around 55 in average attendance. This is a familiar number, as a review of the Session record book that sits in the Pastor’s Office (covering the years 1875-1891) indicates a similar attendance trend. The congregation openly and actively presents itself as a high-touch and informal gathering. Variants of the “we’re a warm and friendly little community” are found consistently in both printed and online literature of the church, and are typically smattered in conversations with new attendees and potential members. The congregation also spends a great deal of time talking tech. Given the informed and educated multigenerational character of the community, the engagement with technology is actively and frequently expressed as a community value. It actively presents itself as a connected community, touting its web presence, use of social networks for outreach, and a weekly hosted mission to provide internet classes and connectivity to the community. Poolesville Presbyterian Church is intimately connected to the community. Facilities are actively used by a range of different gatherings and organizations. Twelve step groups, Girl scouts, Race for the Cure, and a small cooperative volunteer-led preschool all keep the buildings in regular use during the week. The church also recently partnered with a local environmental nonprofit, local businesses, and local government to establish an outwardly facing community garden on the church property. It’s assumed that the church is, while small, nonetheless deeply connected to the township it inhabits. Shared Assumption 1: We are a tribe. The “iconic” and tiny sanctuary of PPC frames the character of the community. It’s remarkably “homey,” as comfortable and well worn as an old shoe. In that, it stands as a tangible representation of the pattern of relationship that are in evidence in the dynamics of decision-making and life together. Although the community doesn’t tend to present as a single family unit, the network of social and interpersonal connections that have formed between members of the multiple families who comprise the church are “tribal.” That complex interplay of relationship forms a community of belonging and identity, as the organizational dynamics of the church blur with the social interchanges outside of the church. The adults of the church play together, as do the children. Small churches are what small church researcher Anthony Pappas describes as “folk society,” and that form of identity is clearly manifest at PPC. As noted above, the dynamics of this tribal system do not revolve around a single tribal patriarch and matriarch. Instead, a collectivity of elders and longstanding members provide a distributed architecture within which microcultural capital is applied towards the continuance of community. The role of the pastor within this tribal system has been tangential. Pastors are generally remembered with some fondness, as “characters” and entertaining personae...none of whom appear to have significantly shifted the dynamics of the community. Those who had difficulty were those who pressed aggressively for change. The more disruptive the change, the more the community felt its basic identity threatened. The only full-time pastor the congregation had in the last 50 years is remembered as an abysmal failure, mostly for reasons revolving around aggressively assuming authority and from the tensions that this grasping creating within community. Within a tribal system, maintaining civility and the balanced integrity of community is absolutely key. The tiny historic sanctuary and the closeness of an informal and simultaneously high-touch community align to express this only very slightly submerged value. Shared Assumption 2: We have to make do with what we have. Both the sanctuary and the website have a strong do-it-yourself feel about them. The cross in the sanctuary is handmade, as is the support-mount that holds the projector equipment. Most of the equipment in the church is hand-me-down from some of the IT professionals and sound-equipment pros at the church. The slowly collapsing but still functional tiny pipe organ was a donation from a wealthy private household. It all works. But it’s mostly held together with elbow grease and duct tape. The website is similarly constructed from the energy and attention of a congregation member. Most of the site-architecture was coded by that member, and the server space used to house the data was given gratis to the church by a small local server-farm provider. It is remarkably effective, but again mirrors the assumption...not inaccurate...that resources within the community are not abundant, and that thrift is necessary. This focus on the ethos of scarcity can occasionally stand in tension with the congregation’s espoused value of growth. It’s not part of the public face of the community, but nonetheless helps define and shape the dynamics of community life. Shared Assumption 3: Within the network of trust, change is embraced. The intermingling of informality and a strong network of social and interpersonal relations within this small community permits opportunities to “play” with newness. If someone wants to attempt something, and is willing to bring their energy to a new effort or new thing, there’s an amazingly low threshold of permission-giving within the community so long as that change does not pose the possibility for community-disrupting conflict or financial risk. In the sanctuary, for instance, a pair of carefully situated microphones can be seen on the AV crossbeam. They were recently mounted on the crossbeam for the purposes of creating a nuanced stereo capture for a podcast. The sound-guy came up with the idea, which he pinged by an audio professional, who made recommendations and found a few decent mikes, which were wired and mounted that same day. There were no committees, and no formal processes. When presented to Session, it was received with nods of approval for being a good idea. That was that. Another instance came as part of the groundbreaking for the Community Garden, established in partnership with a local environmental nonprofit. The community knew, because folks had been told both formally and informally, that ground on the plot next to the church would at some point be leveled in preparation for the “staging in” of the garden. When I arrived one Sunday, it had happened the day before. A local businessman, who’d graciously contributed his time and a backhoe, had just come through and plowed it up as time had permitted. The day hadn’t been approved. The Session had not been informed. It hadn’t been pre-checked or confirmed with any committees. This focus on doing, and the implicit assumption that everyone is trying their best to do what’s right for the community? it’s a vital part of being a healthy church. Shared Assumption 4: We’re gettin’ by just fine as we are. The comfortable sanctuary and basically stable pattern of worship attendance stand in significant tension with the espoused value of growth. The actual number of human beings engaged in the church remains essentially static, and although there is lingering systemic concern about resources, PPC feels no significant pressure to grow. The little sanctuary usually feels comfortably full. There are kids, and families. The cycles of congregational life continue. As the congregation looks to its primary artifacts and values, there is a paucity of disconfirming data to indicate the necessity for growth or significant change. In the absence of an evident threat beyond the longstanding shared assumption of resource scarcity, the community feels no sense of survival anxiety. Language about growth and expansion floats on the surface, but in the deep organic muck below the surface, the congregation is quite happy as it is. The congregation is fundamentally stable, both in terms of membership and organizational culture and dynamics. While congregational growth is a stated norm, there is some complacence about the basic soundness of the community, much of which derives from the longstanding relationships and lack of disconfirmation of the communities’ shared assumptions. The trust relationships within the church do permit considerable organizational dynamism, within non-threatening limits. The way in which a congregation orients itself towards the world has a significant impact on the dynamics of its culture. The contextual posture grid is a way to measure the relationship of a church to community, and it assumes two primary axes: the inner-directed or “empathetic” and the marginal and the conventional. Inner directed communities exist for themselves, while empathetic communities are oriented towards the world outside. Marginal communities are in some way alienated or separate from the culture around them, where “conventional” communities are highly representative of the broader culture. PPC falls squarely into what George Thompson describes as the empathetic conventional quadrant of cultural life. Although it is a small and “tribal” church, it does not manifest the deep inward focus, functional invisibility, and sense of marginalization found in many small congregations. Service and community connection are a vital part of the ongoing life of the church. From food bank support to a deep connection to the local service charity, the congregation engages significantly in service ministry with the local community...both clear marks of an empathetic community. As a community that inhabits the empathetic conventional quadrant, PPC is deeply engaged with community. Service opportunities abound and are actively sought, and are a clear, evident, and valued feature of congregational life. This is, quite frankly, both an openly articulated and valued aspect of the congregation’s identity, one that is deeply honored by membership but also attractive to the community around it. It’s a significant strength of the church, which has managed to avoid the dangerously insular “family” dynamics of smaller communities by having numerous “bridge people” who cross the margins between church and community. The members of the church are, as noted above, almost entirely representative of the broader community. Connections within the town of Poolesville are many and varied, and the demographic profile of the church is a mirror of the town. This is a clear indicator that the congregation is “permeable” to the culture of the community it inhabits and serves. 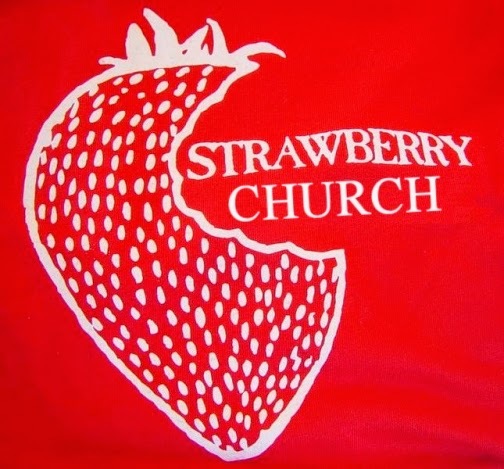 Against most measures of health in smaller communities, Poolesville Presbyterian is a vital, living, “strawberry” congregation. But there are other forms of small church, and congregations that live out that “sweetness” even though they are smaller still than PPC. We’ll hear from some of them in the next chapter. How important is the history of this community to your understanding of our life together? What stories, if you know them, are particularly important? A significant part of the methodology used for this case study involved observing the cultural influences on the congregation. To what extent do you think culture (local/regional/national) impacts the character of churches? Is that influence a good or a bad thing? Is your community more “marginal” (meaning different than the culture around it) or “conventional” (meaning it reflects the community in which it finds itself)? One of the greatest challenges facing the small family or tribal church is the tendency to be so “inner-directed” that they fold in on themselves. These fellowships become so focused on their internal relationship dynamics that they lose their ability to connect to the world. If you find yourself in a small congregation, how “permeable” is it? How connected is it to the community beyond its physical and relational boundaries? Another useful measure of the health of a congregation is the degree to which its story about itself reflects the reality it lives out. Claiming to “be welcoming” but never talking to newcomers or visitors is one painful example. How does your community live into the story it tells the world about itself?